TV Moving Panel Mechanisms that hide your LED TV behind your own choice of picture or mirror. Our range of TV Moving Panel Mechanisms allow you to have panels that move up, down, sideways or even split in half. 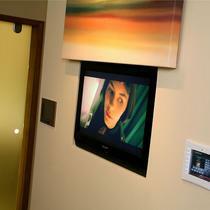 With a UK wide installation service also available we offer you a perfect solution to hiding your TV.